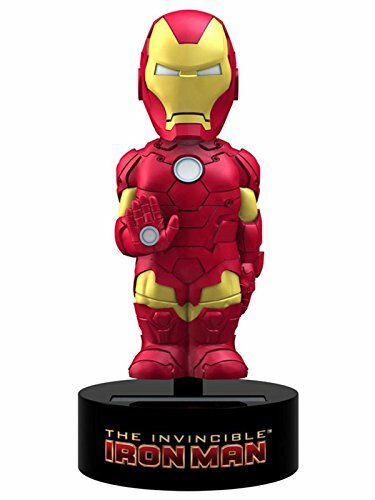 The Invincible IRON MAN !!! 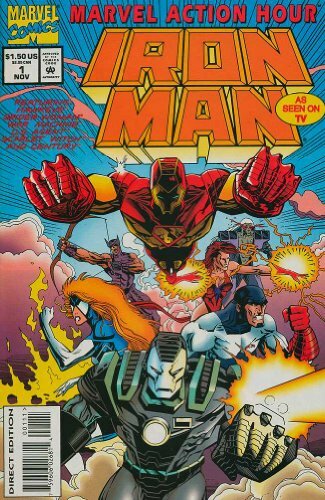 Date: November 1994 - June 1995 *** Contains Issue #'s 1-8 *** COMPLETE MINI-SERIES! OH BOY!!! 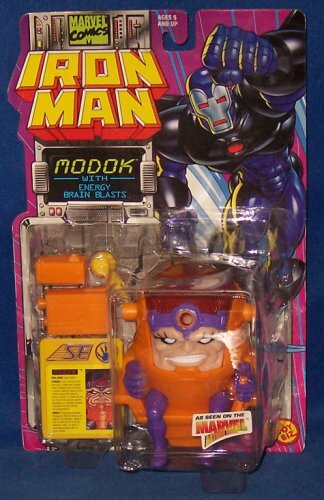 The Adventures of Marvel's famed metal knight is here in a simple, fun format for the kids. Can Tony Stark and his band of Avengers take on the evil forces of the Mandarin? 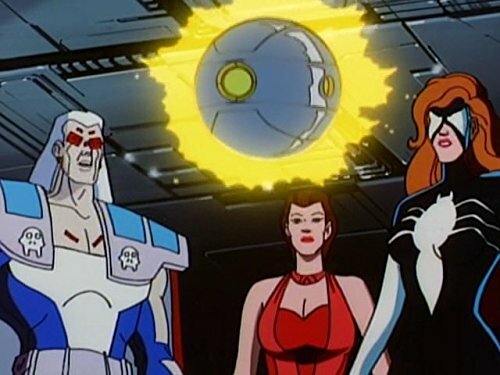 Features everything a kid could want, major villains, action, excitement and superpowers!! Based on the cartoon!!! Issue #1 is polybagged with 16 page Action Hour preview and an acetate print (supposedly a 'cel'). 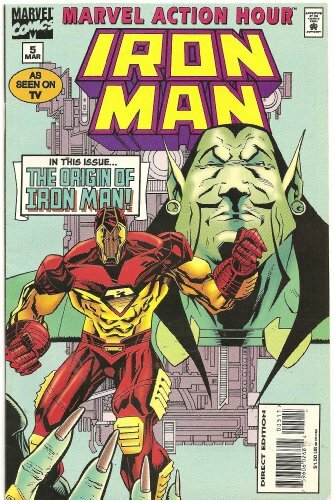 As seen on TV, "The Origins of Iron Man." 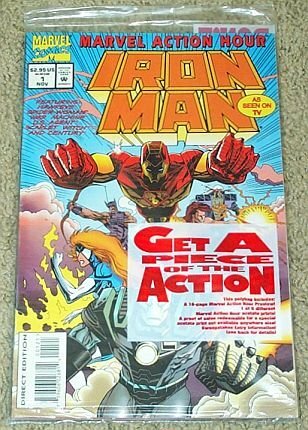 Iron Man issue #1. Special Poly Bagged edition includes the comic book, a 16 page Marvel Action Hour preview, and 1 of 6 different Exclusive Marvel Action Hour Acetate Prints! As seen on TV! Featuring Hawkeye, Spider-Woman, War Machine, US Agent, Scarlet Witch and Century. Enjoy hours of body-bobbling fun that's powered by the sun! From Marvel Comics, Iron Man rocks from side to side when exposed to light. Stands 6" tall. Collect the entire line of Body Knockers and watch your favorite characters dance the day away!.